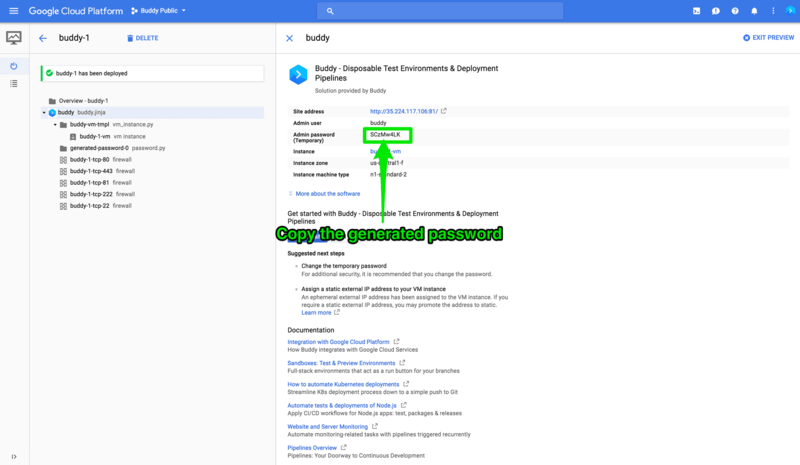 Your Buddy installation on the Google Cloud Platform is almost ready. 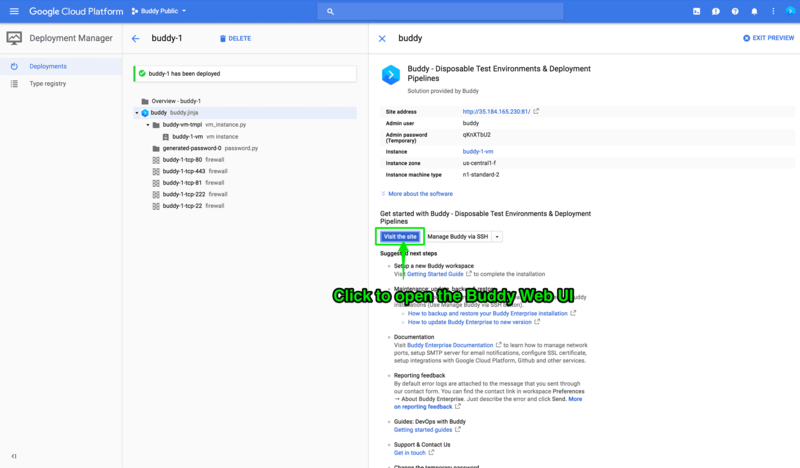 Buddy will now finalize the installation and auto-update itself to the newest version. Once ready, it will ask you to create your first workspace—the last step to complete the installation. 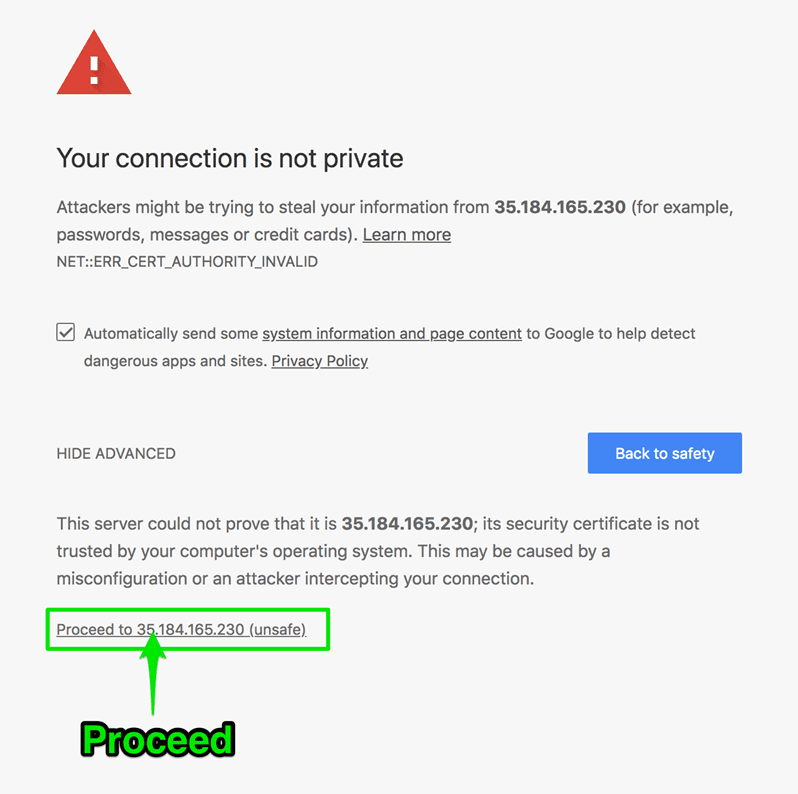 Here’s a quick guide that will walk you through the final steps of the process. This is a one-time password only—you will be able to set the permanent password on the workspace creation page. 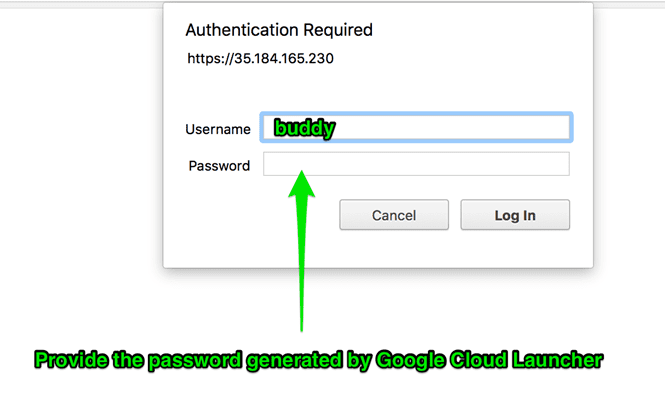 Once the workspace has been created, Buddy will never ask for the Admin password again and will use the Buddy account for authorization. The username is always buddy. Questions? 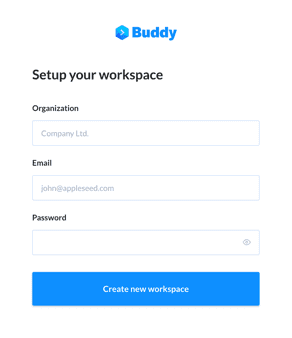 Contact us at support@buddy.works.